This entry was posted on November 11, 2016 by Jessica Anderson. In three colors, personalize this ceramic bowl for man's best friend. For the Golfer: Rosewood Golf Box: Add a special message on the top of this box and then put a dozen golf balls inside for your favorite golfer's next round. 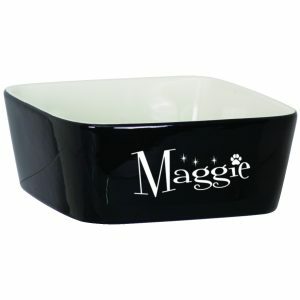 For the Pet: Large Engraved Ceramic Bowl: Personalize a ceramic dish with your favorite dog or cat's name. Add a bag of treats for a special gift for man's best friend! For the Grandparents: Square Stone Photo Create a memento of a special memory! Add a photo of a trip, birthday party, or graduation onto a stone tile to be displayed by grandparents with pride. For the New Baby: Engraved Crystal Circle Ornament Engrave the baby's name, birthdate, or year for a cherished holiday gift to be enjoyed for years to come. A set of beer glasses is a great gift for your favorite craft beer lover. Pair with a growler of their favorite brew. For the Wine Lover: Bamboo Wine Bottle Box with Tools Add your wine lover's favorite wine inside with a special message on the lid! The perfect way to package a beautiful bottle of vino. 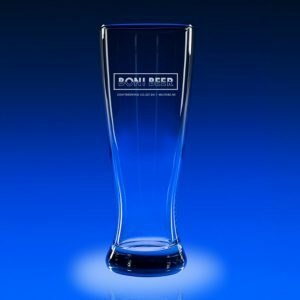 For the Craft Beer Lover: Engraved Pilsner Beer Glass - set of 4 Engrave your favorite brewery's logo, the drinker's initials, or a special name onto any of our craft beer glasses for FREE! Add a growler of your favorite brew for a super tasty gift! For the BBQ Chef: Bamboo Cutting Board and Engraved BBQ Tools Personalize a cutting board and tools for your favorite grill master. Add a bright apron, a cookbook, a gourmet barbecue rub or spicy BBQ sauce for an extraordinary and thoughtful gift. No matter the gift, it's the thought that counts. Personalization makes a gift that is truly one of a kind! With Christmas and Hanukkah just around the corner, consider one of our engraved gifts for your family or friends.